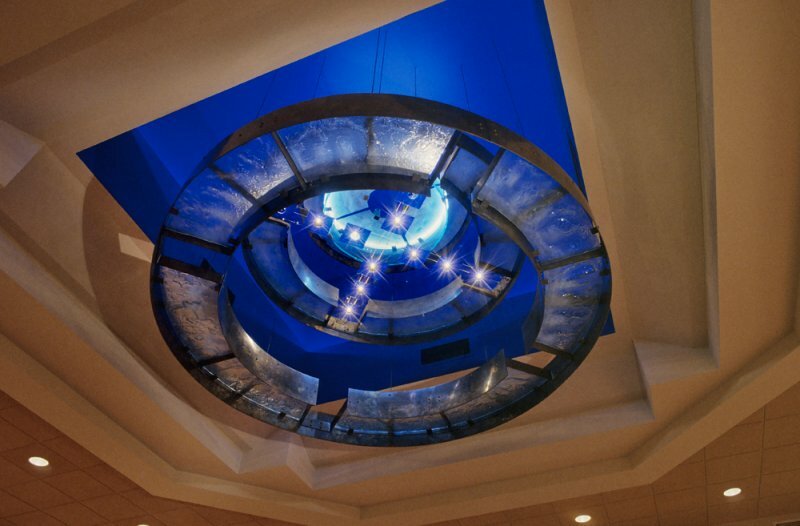 An artificial skylight features three glass-covered bronze rings that are suspended at different heights. The artwork is illuminated with a neon light and halogen lamps fitted with a blue filter. 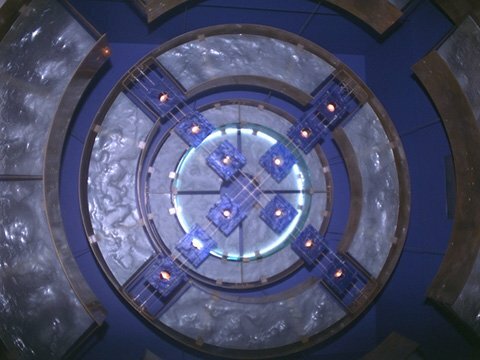 The lights are installed in a cross-shape at the center of the second ring. The title, Fixité du Phénix, refers to a text by Claude Gauvreau.